The Sad Muppet Society is running A Colourful Engagement, a 16 player Star Wars: Imperial Assault tournament on September 10th at Newbury Racecourse. 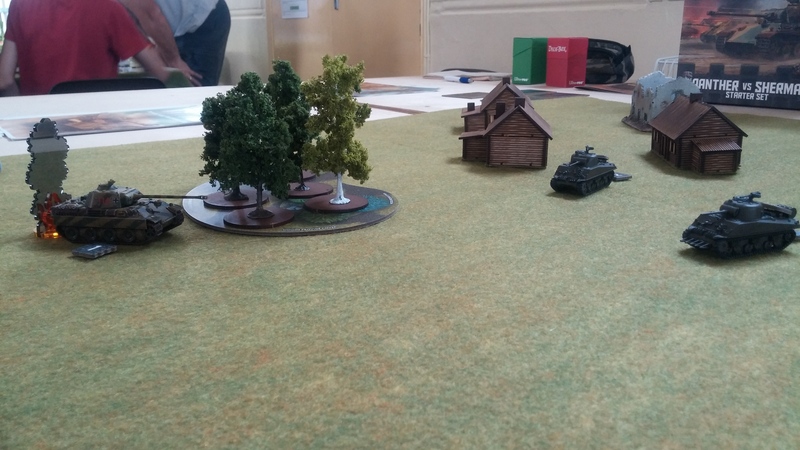 One or two club members may have noticed that I’m pretty excited by Tanks, the new WW2 armour skirmish game from Gale Force 9. 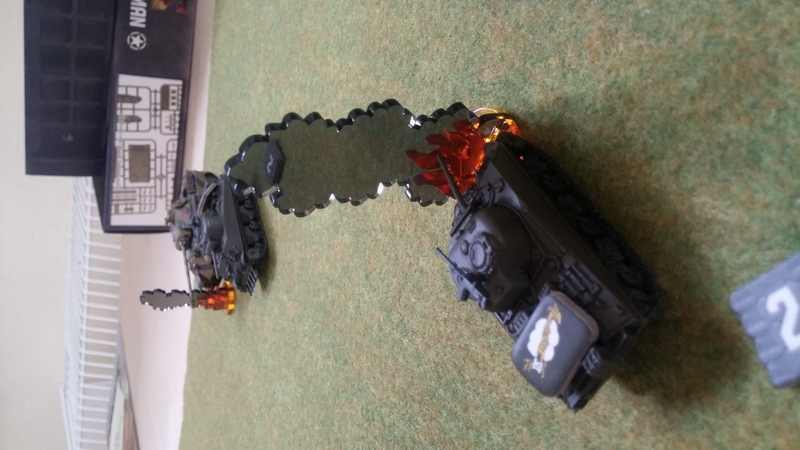 I was one of the lucky ones who picked up a copy, and some extra tanks, at Salute a few weeks ago. 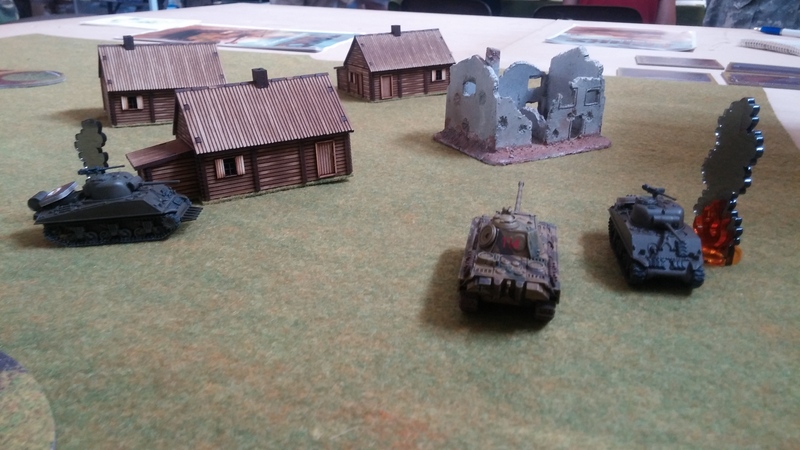 I was so excited that, when our friends at Farnborough Wargames Society asked if we fancied running a game at Valhalla, their annual wargames show, I agreed. It’s been a few years since our club has been represented on the show circuit, so this seemed an obvious easy way back in. The one downer was that this meant I would have to paint some minis. Only three though, so not too much of a shock to my system. Here are a few pics from the demos I ran on 19th June. 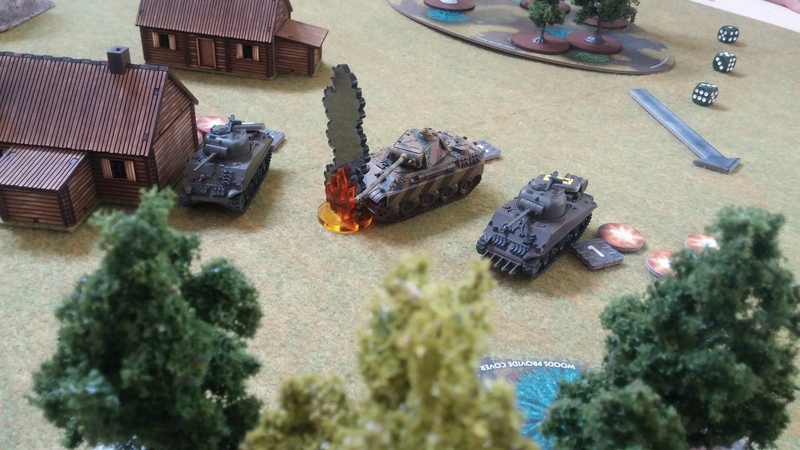 The Americans won out, blasting Barkmann out of Normandy five times out of seven. Barkmann only held the advance into France once, and there was one draw. I also chatted to a few guys about the club. With any luck, we might see one or two of them at a club night. 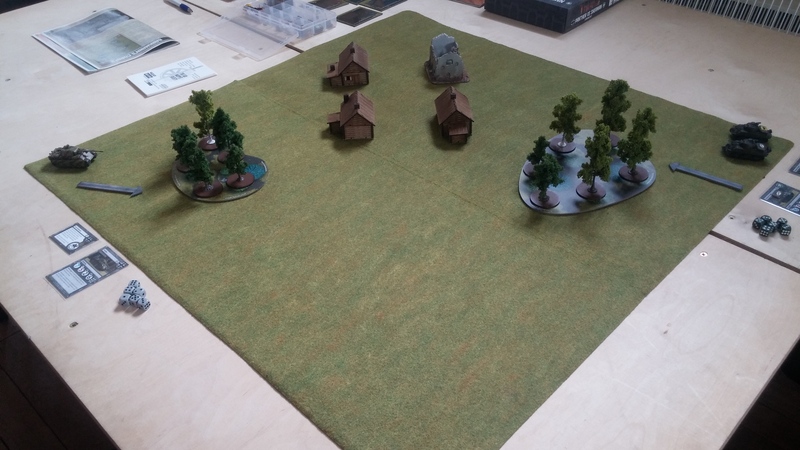 The scenery is a mix of the club’s trees and a ruin, and my 4Ground log cabins. 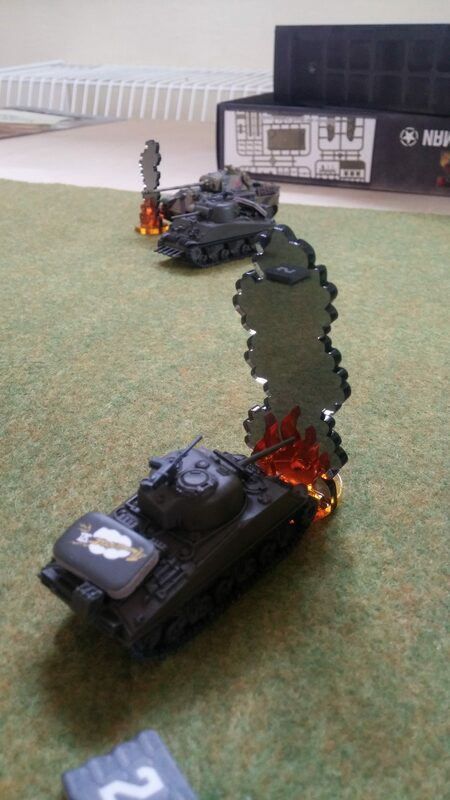 You can read more about Tanks here. 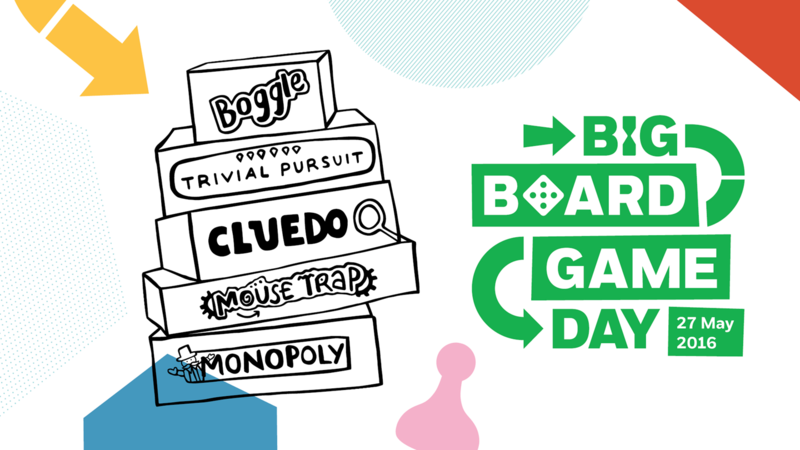 Thanks to everyone for chipping in for the National Society for the Prevention of Cruelty to Children and their Big Board Game Day. On Tuesday 31 May, we raffled the contents of a Star Wars X-Wing Spring tournament pack and added in everyone’s subs for the night, bringing us to £120, which has now been paid over to NSPCC. Enormous thanks to Mick Wright from The Games Shop in Aldershot for donating a Zombicide event pack, which helped pull extra players and donations in on the night. We’re trying out WordPress, to make it easier to keep our website up to date. Bear with us if you spot these pages whilst they’re under construction. Posted on 31st May 2016 19th July 2017 Leave a comment on Hello world!